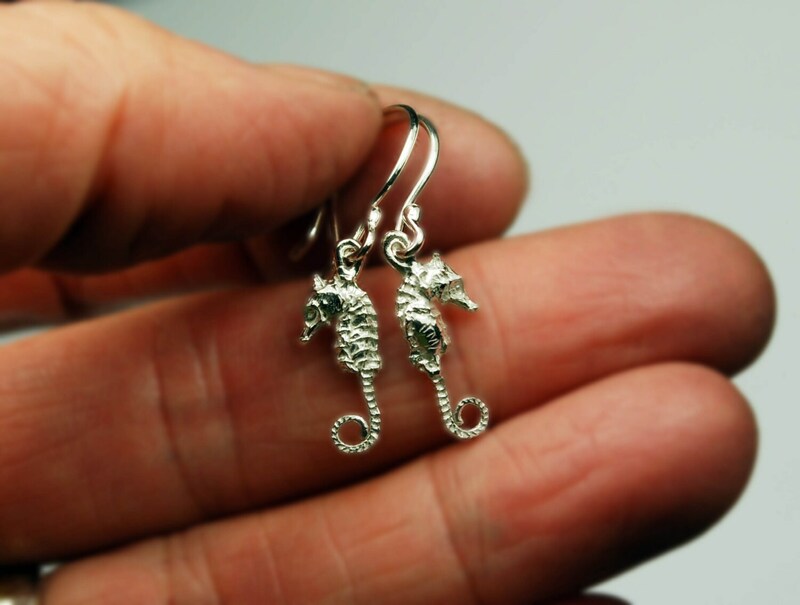 A pair of tiny silver seahorse earrings. 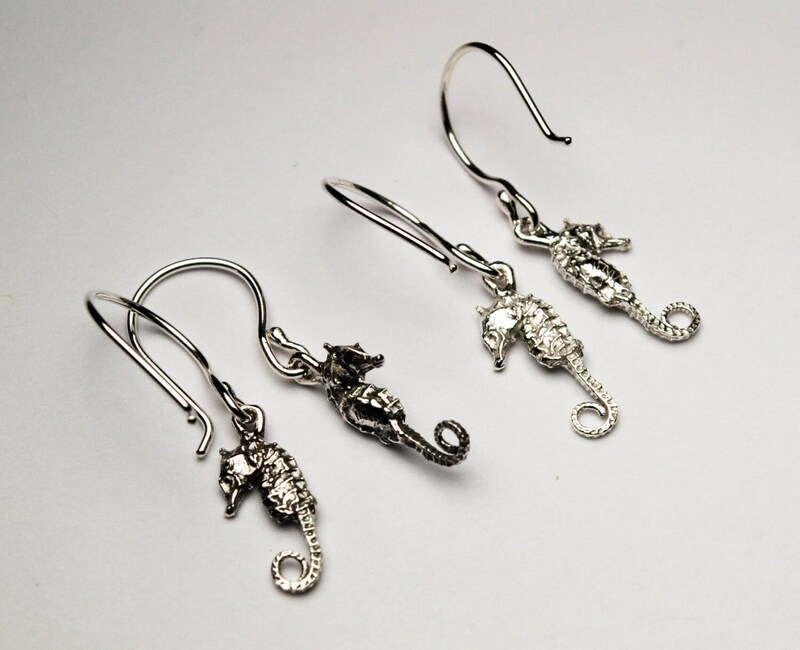 Each solid sterling silver pygmy seahorse measures approx. 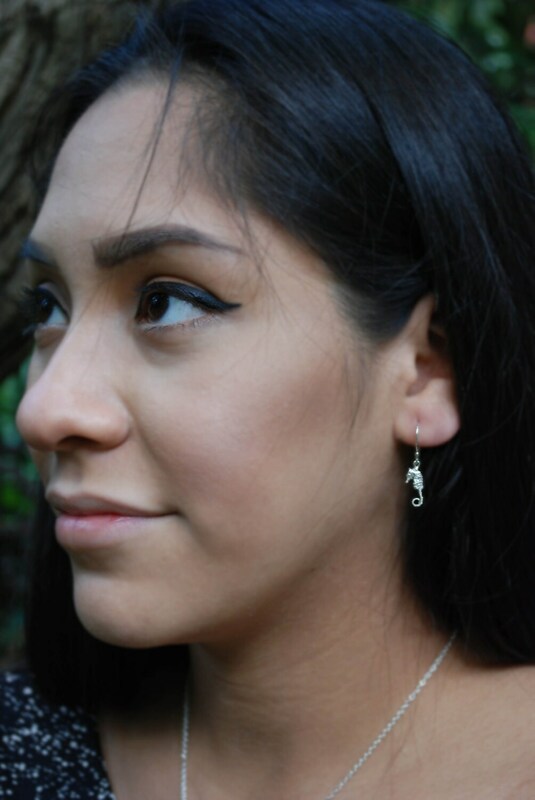 14 mm x 6mm and is hung on sterling hand made ear wires. 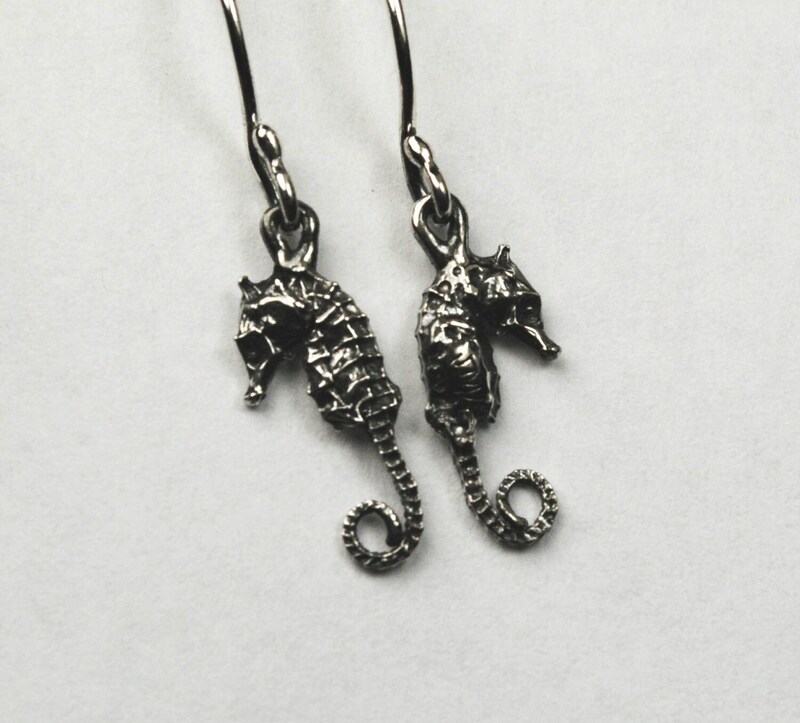 Listing is for 1 pair of sterling silver tiny seahorse earrings.